Move over Dust, there’s a new anthropomorphic rabbit in town. And his name is…Dusty (no relation). 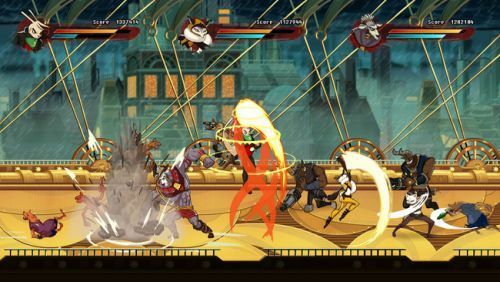 In case you couldn’t get enough of killer attack rabbits and other furry companions, they will be battling across your television in Dusty Raging Fist. 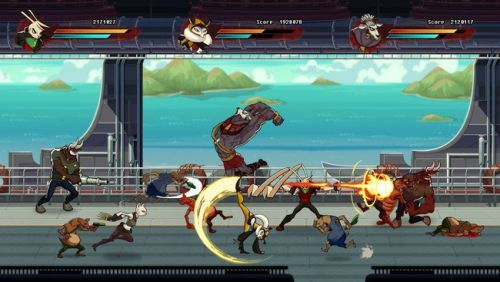 The newest game in development from Singapore-based PD Design Studios, Dusty Raging Fist is headed to the Wii U eShop later this year. 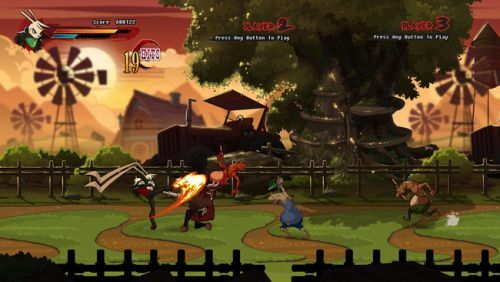 This offering is a part of the same universe as the fighter Dusty Revenge , which is currently in development stages and available on Steam Greenlight. NL: How are Dusty Revenge and Dusty Raging Fist connected in terms of story? KJ: Dusty Raging Fist actually takes place prior to Dusty Revenge’s timeline. As such, you will not be seeing the characters Rondel and McCoy, but some other playable characters. NL: What titles have provided inspiration for Dusty Revenge and Dusty Raging Fist? KJ: We are fans of modern hack’n slash games. Onimusha, God of War, DmC, you name it. But we also grew up with games like Bare Knuckle/Streets of Rage and Double Dragon. And all these games are the basis of our inspiration. Good old action, but re-done in a modern art style with a dash of innovation — this is what we are trying to achieve. NL: What kind of multiplayer features are you looking to include? KJ:3 Players can team up together to play Dusty Raging Fist. We’ll be incorporating co-op elements rather than just to have the players fight alongside one another. Simple resurrection can be performed by the other players. Players can also team up to execute more powerful moves. NL: How will the game make use of the Wii U GamePad controller? KJ: Like I said, the Wii U GamePad is really cool and innovative, but it’s very new to us. We’ll have to spend more time with it before we can determine how it will integrates in a natural manner. Dusty Raging Fist could be a great option for players who love beat em’ ups and hack n’ slash games. The Wii U eShop is a welcome home for games such as these that value cooperative play on a home console. The developers hope to have the game out by the late third quarter or early fourth quarter of 2013. In the meantime, take a look at the gorgeous trailer for Dusty Revenge below. Page created in 0.6389 seconds.